To improve the searching experience in all UM Websites, ICTO has adopted the “Google Custom Search” service and rollout the “UM Website Search” feature from February this year. 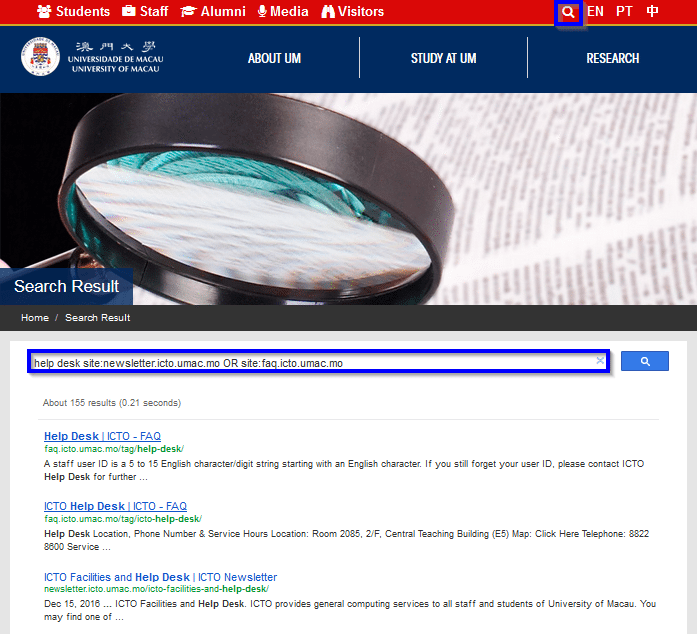 This feature allows users to search for the results (contents) in entire UM websites. It helps the users to find relevant contents quickly and efficiently. At the moment, this feature has been deployed in the UM main site (http://www.umac.mo/) and 32 out of 50 departmental (including faculty, RC and other purposes) websites. We will continue to enable this feature in other UM websites once the related website owners confirm the deployment schedule. The search feature let you search for a keyword by a single search box to find your desired contents in all UM websites. 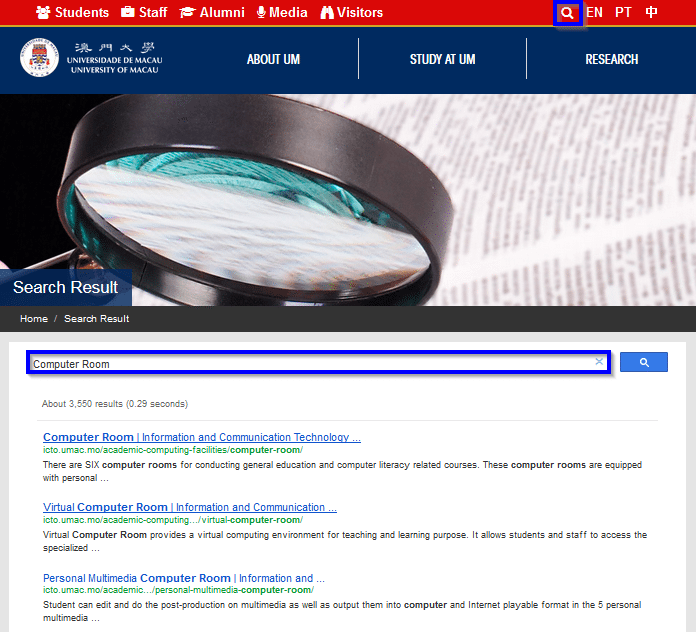 For example, when you search for the keyword “Computer Room” in the UM main site, you can get the link of ICTO computer room website directly. In addition, you can also search for a keyword in a specific website by using the “Site” filter. If you want to search for “help desk” in ICTO newsletter and FAQ website, you can add “site:newsletter.icto.um.edu.mo OR site:faq.icto.umac.mo” after the keyword to filter the results.